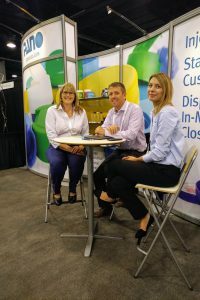 October was a busy month for Pano Cap, we took part in Pack Expo and NACD Chicago. It was a great success and it opened doors for discussion on our customers’ unique requirements and on Pano’s capabilities & newest innovations. We appreciate all the comments, queries, interest and the general support you expressed for Pano Cap. We would like to say thank you to everyone who took the time to stop by our booth.